I keep thinking I should have put my hat in for the 400 something billion lottery ticket that was out there a month or so ago with the odds of the way things keep happening in our life, but then again money solves nothing, and certainly doesn't solve our problems. I know that I have taken a break from writing – it isn't because I haven't wanted too, or that I didn't have things to say. I often would compose the writings in my head, they just never made it to print. The reason is the second year of grief is hard. I have found several articles now about this, but at the time it was largely an uncharted territory that no one warned me of. The second year without Charlotte has been by far much harder for me, and that I believe is because I was no longer numb. The first year I waded through life with a smile on my face sadness in my heart, but I was literally numb, so numb that I cannot even remember most of the first year – just bits and pieces, and the things I remembered to snap a picture of. The second year struck and all the feels came with it, all the Christmas presents I could have been buying her, the milestones she could have been working towards, the snuggles we could have been having, and grieving the loss of all the important people who had come into our life because of her - therapists, nurses, doctors etc. Despite the second year being so hard, I desperately wanted to find myself back to the days initially after I lost her. The second year has made her seem so far away. Initially after she passed away I could feel her, smell her, it was like she was here even though she wasn't. People talked about her all the time, shared memories, said her name. It is just different in the second year. I can still feel the softness of her skin, the little curls on her head, but do I really remember what it was like for me to hold her hand, or all the noises she made that I was one of few who could tell what she needed? All of these things just made it hard to write. I was busy trying to recapture her perfection, and figure out how to navigate in a world that I was not a normal person in anymore. About six months after she passed away, Junji and I decided we were going to try and have another baby. 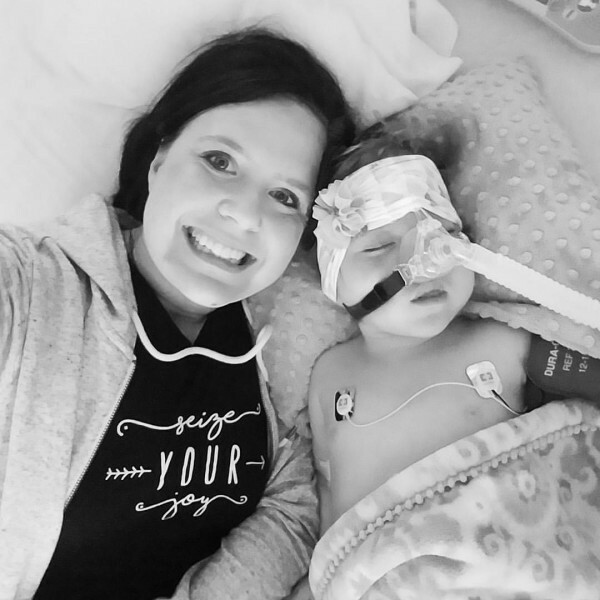 This had always been in the talks, but my heart knew that Charlotte's time was limited and pregnancy is not easy on my body and I refused to miss a second of Charlotte's life being sick and pregnant. It was a difficult decision because ultimately I wanted my Charlotte back, I wanted her. I also worried the world would think we were trying to replace her – but as my dad would say "who cares what the world or anyone thinks?" We have so much love to give children, I love being a mom more than anything on this earth and some things lined up in our life that felt like a sign from God that now was the time to start trying. Getting pregnant for us is the first of our hurdles, we cannot do it without a little help (or a lot of help – always a huge moral dilemma for me). I am no spring chicken and the time clock is always clicking so with all the factors lining up we decided to move forward. We prayed, and prayed – not even for a healthy baby, we prayed simply for a baby, knowing God would give us exactly what he had planned for us to love. With both Sophie and Charlotte it worked the first time for us, but not this time, three long difficult attempts that lasted a year before we found out our blessing(s) were growing. That is right we originally had two beautiful babes with heart beats and all, but the second just was not meant for Earth and didn't make it past eight weeks. 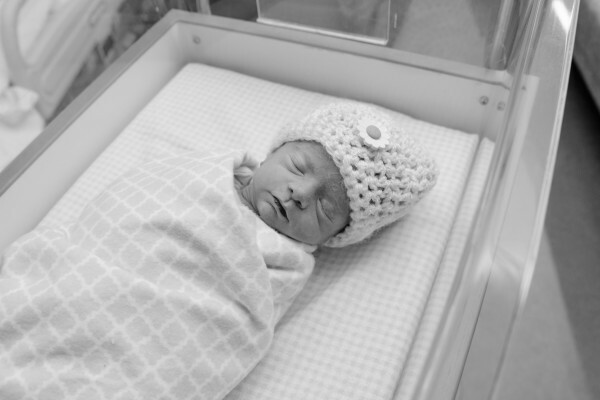 I was hesitant to share the news, as a nurse knowing sometimes too much and our past circumstance with the birth of Charlotte, I was incredibly nervous. I relished in milestones – eight weeks heart beat, twelve weeks less chance of miscarriage, eighteen weeks fetal echogram looked fabulous, twenty weeks growth scan baby looked fabulous, twenty-four weeks viable. At twenty weeks I finally made it official to people and shared the news – but nervous I remained. Other than morning sickness that lasted all day and pure exhaustion, everything was progressing perfect. At twenty eight weeks I started having some slightly higher blood pressures and protein in my urine both indicators of pregnancy induced hypertension. I was put on modified bed rest – meaning I would be up and about some but resting with my feet up most of the time. I complied outside of a couple of quick events for Sophie. My blood pressure was never too much over the criteria for pregnancy inducted hypertension – and believe me I monitored it closely at home. On top of that, I started twice a week scans and exams. Baby continued to look fabulous throughout these scans always scoring an eight out of eight and before we knew it we had a planned c-section on November 28th due to a liver autoimmune disease I have. Baby was incredibly active – more so than my other girls. She would wake my up during the night and I would lay and feel her feet wrestling with my ribs. She was constantly on the move (I should probably note here that we did not know baby was a she, we chose to be surprised at the birth.) She also liked to hide her face on ultrasound, and we caught her sucking her fingers once. The week prior I had finally started buying stuff for the baby, had picked out a paint color for the nursery (another task in itself because we had to dismantle and go through Charlotte's things as this used to be her room.) I bought a few decorations for the room, going home outfits for both a boy and a girl, diapers, and some special blankets, and I started letting myself imagine what the sound of the babies cry would be like when they pulled him or her out of my belly ,a moment in time which causes my soul to overflow with such amazing love it is beyond words. 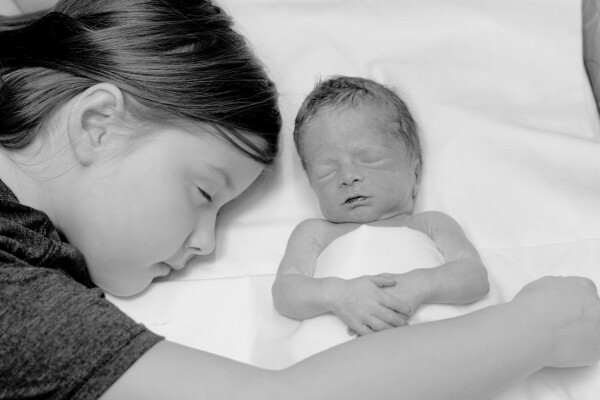 I imagined what it was going to be like to hold them, feel them, and soak up that newborn smell – all things that I had missed out on with Charlotte. Most importantly I imagined Sophie with her sibling, she was beyond excited to have another sibling and was already planning out where the bunk beds were going to go when they could share a room. Bottom line, I was letting myself get excited. I started to feel weird almost instantly while watching the news – my arms felt weird and I could see black rings in my eyes. Then I felt an immediate uncontrollable sick and stumbled to the bathroom where I noticed there was blood – not a lot – I had bleed with Sophie and knew it wasn't a lot and told myself it could still be ok, but in addition to the blood I felt like I was toppling over and shouted to Junji there was blood and call an ambulance. He tried to get me back to bed and I kept falling – I now knew this was bad. The weird feeling progressed to my entire body and I just felt like everything was going to sleep – I guess that it the best way of describing it, not tingling but just softly going to sleep. It felt the the EMTs took forever to come but Junji said it was fast. 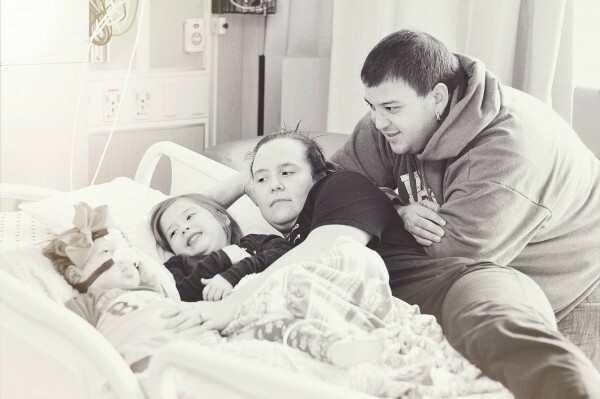 We were originally heading to St. Johns because it was closer for the baby until they took my blood pressure and it was 70/30s – that plan quickly changed, that hospital was not a high enough level to care for me. I remember them getting me up in a chair to get me to a stretcher telling me I was going to pass out and that is when I lost consciousness. During this period of being out I saw fields of flowers, Junji said I said I saw people but I just remember the flowers – everywhere as far as the eye could see. When the EMTs woke me up I remember being annoyed why did they wake me up from this wonderful "dream." At this point destination changed to United, circumstances had changed and I needed a higher level of care. In the ambulance I kept passing out, and "annoyingly" they kept having to sternal rub me and shout my name to get me to wake up. Every time I saw the darkness of the passing out (no more flowers,) I looked for my dad, because I knew if I was dying, my dad would be the one to come and get me so I wouldn't be scared. I was terrified, I didn't want to die, I kept thinking of Sophie, I couldn't leave her and maybe that is what saved me, I don't know. My PALS instructors would be pleased – as I laid there on the stretcher in between losing consciousness my brain kept telling them what do to but I couldn't get the words out. I kept thinking "I am in cardiogenic shock, you need to get that IV in – two tries, then you need to do an intraosseous, ok IV is in but it isn't dripping – i need volume, get the fluids in me, you need a pressure bag so it drips faster, my oxygen is low? Are you going to need to intubate me?" All circling around in my head, unable to spit the words out. We arrived at the hospital to a sea of 20-30 people, me in a t-shirt and a towel and now in between losing consciousness all I could keep thinking about was "I haven't shaved my legs for a month! "(The things your brain does in crisis.) I knew at this point things were really bad, they were cutting my clothes off me, trying to get IVs in, setting up for mass transfusion, and trying to find the baby's heart beat which the nurses couldn't find but told me they had to wait for the doctors. (Keep in mind no one knows I am a nurse at this point and so all of their side talk I can understand what is going on.) When the doctor came with ultrasound, he instantly told me (they wouldn't let Junji back at this point because of the severity of the situation so I was all alone) he was sorry but the baby was gone and that my placenta had completely separated, there was a lot of blood. I became numb at this point of time. It was like the room was moving around me and time stopped. "No, no, no how could this be...this is our miracle, our hope, our joy, the baby can't be gone. By now time became of the essence to save me, I was still bleeding and was rushed up for a c-section, and extreme pain had set inky this point. I lost three liters of blood and so by this time they were worried about me. I am lucky and thankful (despite my pain in my heart) to still be alive. We named her Maggie Grace. She was unbelievably beautiful. A full head of dark hair, the perfect mixture of her beautiful sisters. I wanted to shake her, wake her up, start CPR – surely they could do something, she looks perfect, she could survive at 33 weeks. But it was too late. They said that she was perfect and likely healthy and that she probably died within a few minutes of the abruption at home, peacefully and pain free just like going to sleep. This was a rare and unpredictable complication. 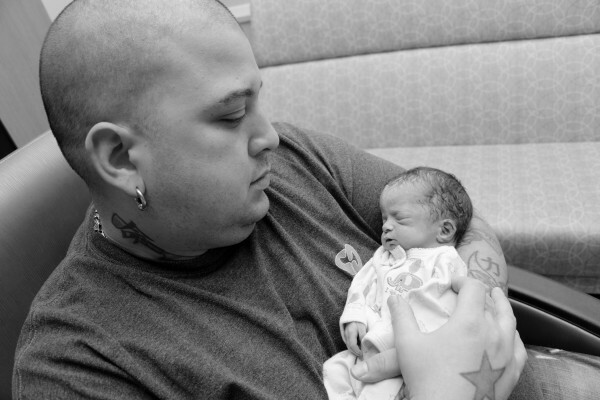 Many people have abruptions but not complete abruptions so their babies are often able to survive. My blood pressure was within normal range so that was not the cause – it usually happens if blood pressures are 180-190s/100s. That was not me. It was another unfortunate, unpredictable fluke just like her sister Charlotte. It is hard to fathom we have lost two of our beautiful girls within two years. I know we are not unique to this type of loss, there are many who have lost multiple children in this world. My brain just still cannot wrap itself around it. She was our hope, she was going to bring so much joy back into our life, but for some reason beyond my understanding God needed her back up in Heaven. Some things I know are not for our humanly understanding, but that doesn't make my heart and soul hurt any less. To have your heart shatter twice, to carry their ashes for the funeral and then carry them to their burial site, to bury two of your children, it all just feels like to much for my soul to take, and yet I understand that it is the cross that I must bear for the rest of my life. Sad just doesn't even begin to describe it. I want to hide under my blanket and not come out. Today. November 28th. Today by this time I should have a beautiful, healthy baby in my arms who would have been born around 8:30/9:00 a.m. There could have been family and friends admiring her beauty, giving her her first taste of human love – that is if I would have let her out of my arms. Today was supposed to go so much different, and right now it feels so unfair. I want you to know that I love you more than life itself, and if I could have done ANYTHING to save you and give you life I would have. I hope that within my womb you could feel my love palpating through my soul into yours. That you could feel my loving hand rubbing over your kicks and somersaults . A mother's love is hard to put into words, but even as I write about how much I love you I can feel it surging through my soul, a burning flame that lights as soon as your life begins. I imagine Charlotte and you up there in heaven running and playing – giving Jesus a run for his money keeping you two in line. I can hear the giggles of you girls and Charlotte's dear friend Amelia echoing throughout the bounds of Heaven and the angels trying to teach you the ropes while you try and play. I wish with all my heart baby girl that it wasn't your time, that you were in my arms right now, that you had time to have a life on earth, but know that our love for you knows no bounds and penetrates heaven, I hope you feel that. Please give Charlotte and Baka Ralph the biggest hugs possible from me, and don't let Baka Ralph give you too many M&Ms – he likes to do that sometimes. We love you Maggie more than words can express. So much more than words can express. We promise we will make joy out of this for Charlotte, and for you we will make grace.